Another minister has spoken in favour of Home Affairs Minister Peter Dutton facing the High Court in relation to his eligibility as an MP. 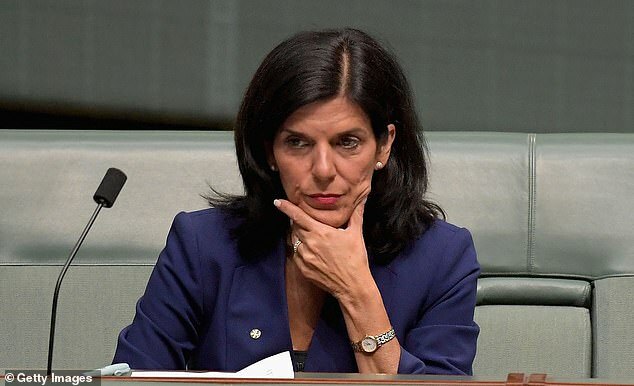 Victorian MP Julia Banks spoke for the first time about Mr Dutton’s alleged conflicting interest in daycare centres that receive government payments. The crossbencher, who announced her defection from the Liberal party on Tuesday, told Fairfax Mr Dutton had a ‘very clear’ case to answer based on legal advice from the week he conspired to oust former Prime Minister Malcolm Turnbull from the top job. ‘I think Peter Dutton should do the decent thing and refer himself to the High Court,’ she said. 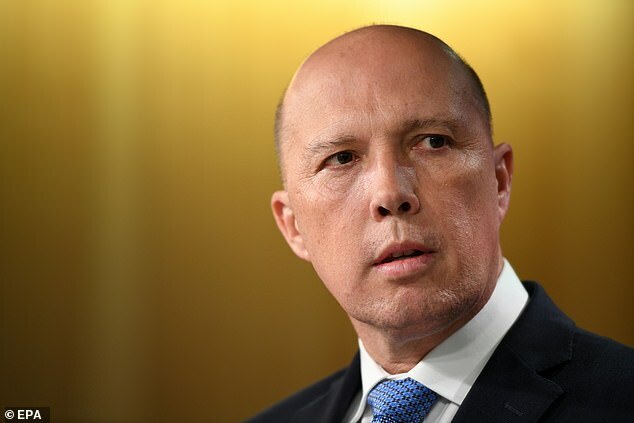 The daycare centres registered under the Dutton family trust threaten to force the ambitious politician out of parliament under section 44 of the constitution. Section 44(v) states any person who ‘has any direct or indirect interest in any agreement with the Public Service of the Commonwealth’ is ineligible from sitting as a member of parliament. But Mr Dutton insists he has no concerns, and shouldn’t heed to the requests of some of his colleagues to refer himself to the High Court. ‘These issues are being raised for political purposes. It was raised, as I say, by the Labor Party in October of last year and they didn’t raise it again so I am very confident in my position,’ he said in a statement in October. The move to see Mr Dutton front the High Court gained momentum during the Liberal leadership spill, but was rejected the first time the Labor Party put it forward due to a lack of support. Since then, more MP’s have familiarised themselves with the situation. At present, all 69 Labor MP’s have voted in support of the referral. Another four crossbenchers appear to be in support, including Ms Banks, Rebekha Sharkie, the member for Mayo in South Australia, member for Denison in Tasmania, Andrew Wilkie and Adam Bandt, the federal member for Melbourne. Labor needs at least two more votes in favour of the referral to force Mr Dutton into facing the High Court. While Ms Banks has been critical of Mr Dutton in the past, and voted firmly against him when he attempted to seize control of the Liberal Party, she insists her decision comes after a thorough examination of evidence. ‘I have to leave aside my personal feelings with regard to Peter Dutton and look at this objectively,’ she said.